You're invited to visit the Coney Island History Project's exhibition center on Coney's traditional Opening Day, Palm Sunday, April 9, 2017. View historic artifacts, photographs, maps, ephemera and films of Coney Island's colorful past and take a free souvenir photo with 'Skully' or our original Steeplechase horse at our exhibition center. We'll be open 1pm-6pm. Admission is free of charge. 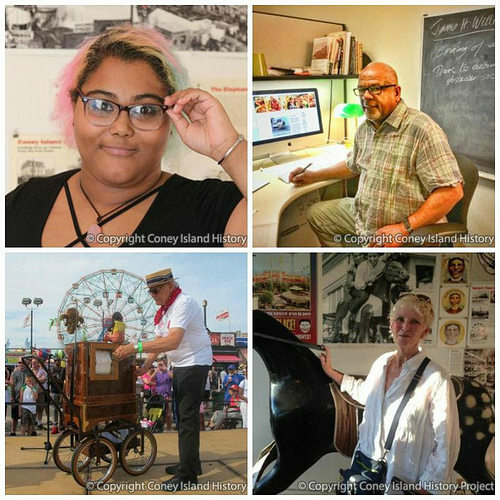 2017 marks the 13th anniversary of the Coney Island History Project! 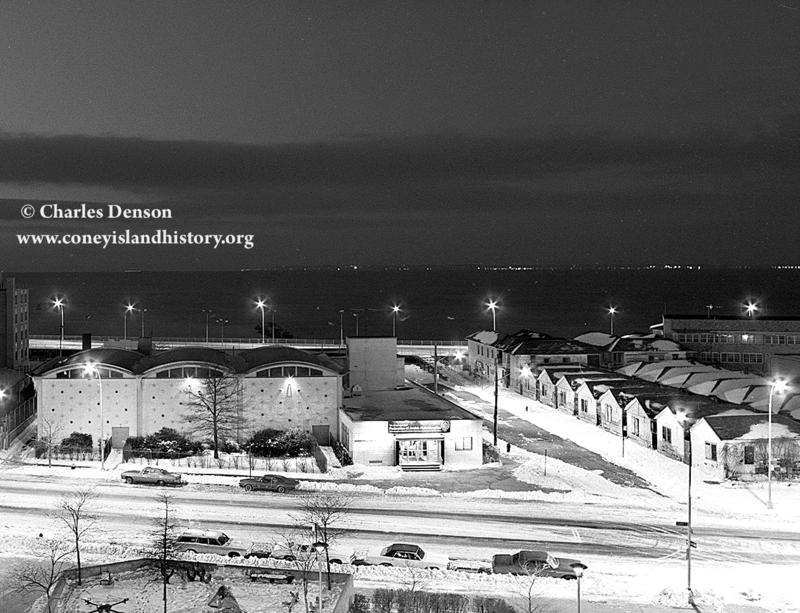 Since the History Project's inception in 2004 with a portable recording booth on the Boardwalk, followed by the opening of the Coney Island Hall of Fame in 2005 and the inaugural season of our exhibition center under the Cyclone in 2007 and moving to Deno's Wonder Wheel Park in 2011, we have proudly offered "Free Admission for One and All!" at our exhibits and special events. 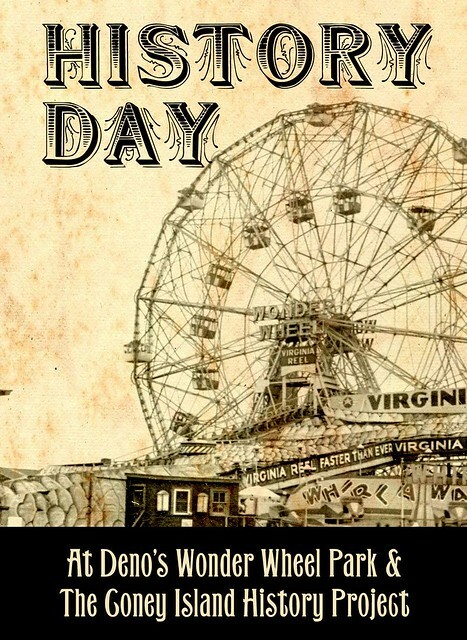 The Opening Day festivities start at 11:00AM on the Boardwalk with the 32nd Annual Blessing of the Rides at Deno's Wonder Wheel Amusement Park. The late Pastor Debbe Santiago of Coney Island's Salt and Sea Mission originated the event with Denos D. Vourderis in 1985, who invited 300 children from the Mission to enjoy free rides and Easter baskets, a tradition that continues today. A ribbon cutting ceremony hosted by park owners Dennis and Steve Vourderis will be followed by free rides on the Wonder Wheel for the first 97 guests in celebration of the Wheel's 97th anniversary. At Luna Park, the first 100 on line at the Cyclone roller coaster will ride the roller coaster for free and egg cream samples will be given out. 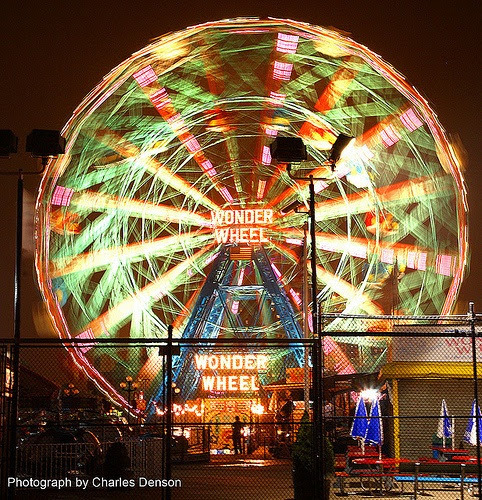 Coney Island's 1920 Wonder Wheel and the 1927 Cyclone are official New York City landmarks. 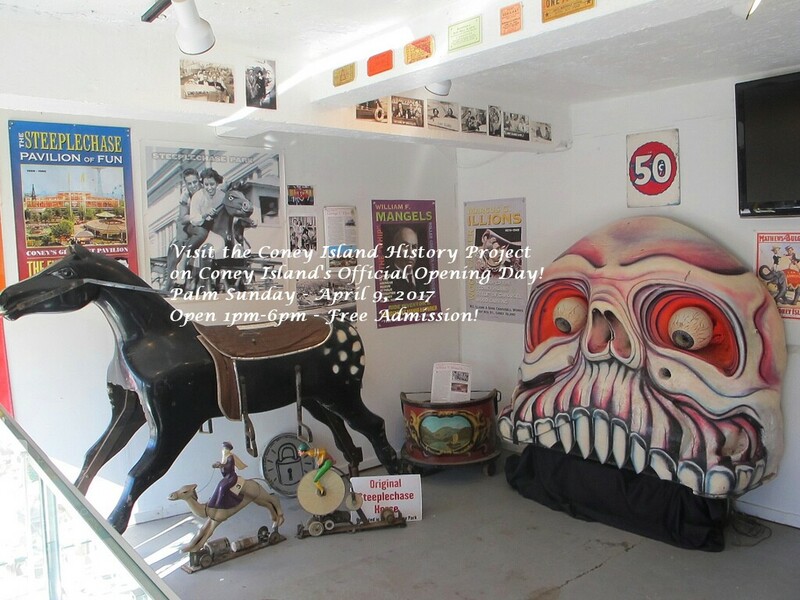 At the Coney Island History Project, visitors may take free souvenir photos with the only original Steeplechase horse from the legendary ride that gave Steeplechase Park (1897-1964) its name that remains in Coney Island and "Skully," a figure from Coney's classic Spookhouse and Spook-A-Rama dark rides. Among the treasures on display at the Coney Island History Project's exhibit center is Coney's oldest surviving artifact. The 1823 wooden Toll House Sign dates back to the days when the toll for a horse and rider to "the Island" was 5 cents! 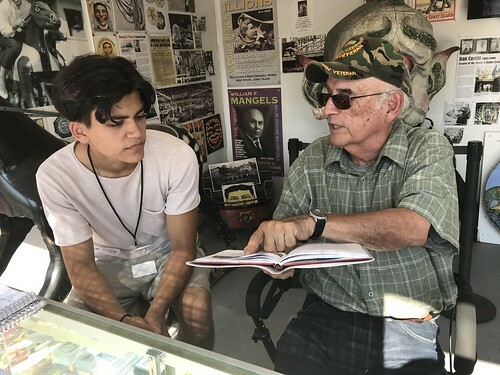 Located on West 12th Street at the entrance to Deno's Wonder Wheel, just a few steps off the Boardwalk, the Coney Island History Project is open free of charge on weekends and holidays from Memorial Day Weekend through Labor Day from 1:00-7:00PM. We will also be open on Easter Sunday, April 16, from 1:00-6:00PM. 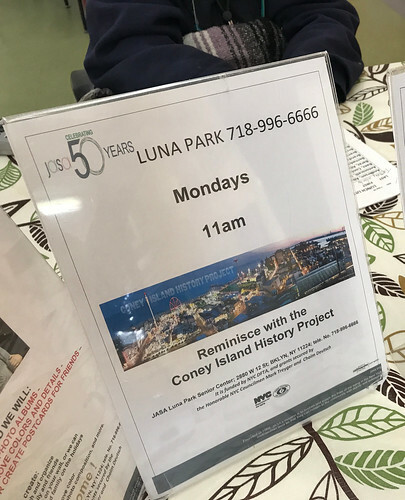 The Coney Island History Project is open year round for private group visits and our weekend walking tours as well as by appointment to record interviews with people who have memories of Coney Island for our Oral History Archive. Over the weekend, we were saddened to learn of the death of our friend Gregory Bitetzakis, who passed away unexpectedly on January 17 at the age of 81. 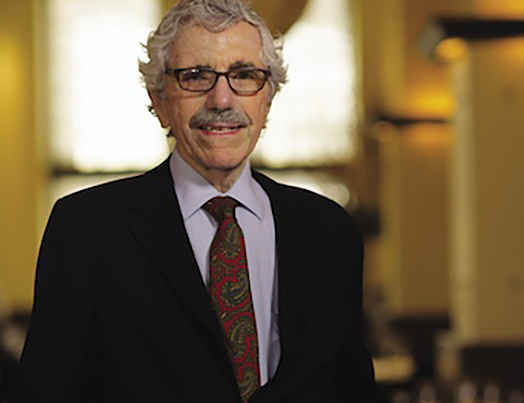 Until his retirement in 2009, Gregory co-owned and operated Gregory & Paul’s restaurant in Coney Island with his partner Paul Georgoulakos for more than 50 years. 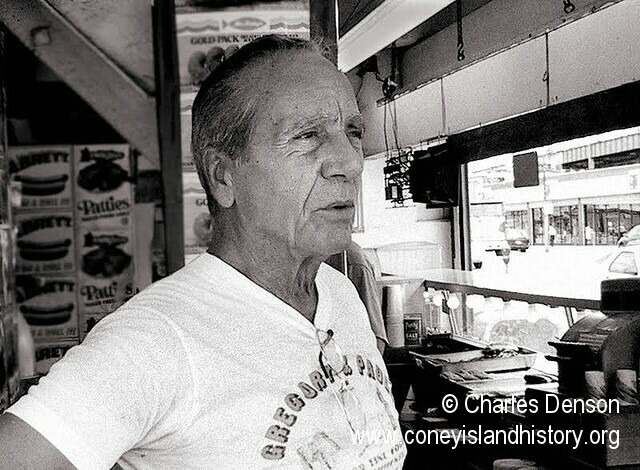 In a conversation with Charles Denson in the Coney Island History Project’s Oral History Archive, Gregory says that he first came to Coney Island in 1948 and operated food concessions on the Bowery, the Boardwalk and other locations including the former Napoli Seven Seas Restaurant. 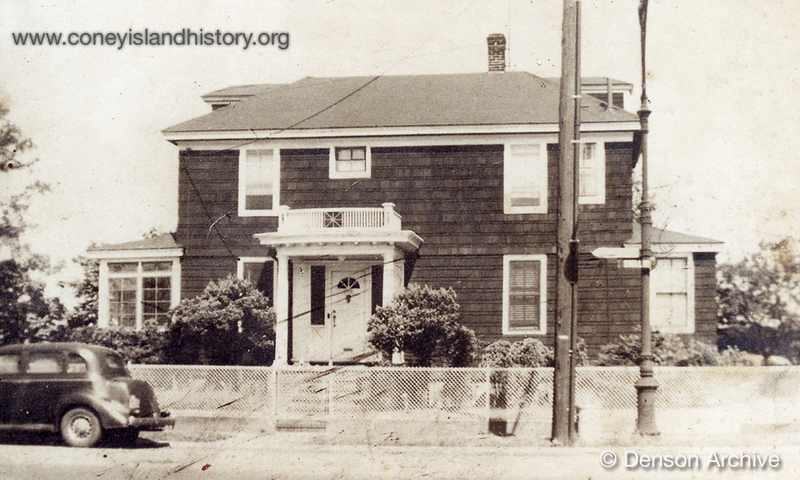 The first Gregory & Paul’s, which opened in 1962 at the old Howard Johnson’s on West 8th Street and the Boardwalk, was evicted along with other businesses in 1968 when Rockefeller bought the property and donated it to the New York Aquarium. 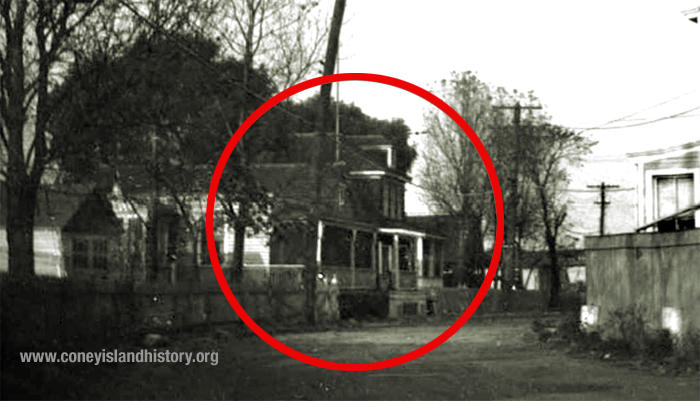 The reataurant then moved to one of the old Hebrew National Deli locations on the Boardwalk at West 15th Street behind the Thunderbolt. They were there from 1969 through 1979. Gregory said the building burned to the ground on a frigid winter night when the wind chill was 49 below zero. Opened in 1970, Gregory and Paul’s most popular location was on the Boardwalk at West 10th Street and featured the Astroland Rocket on the roof of the store until the park closed in 2008. The Boardwalk store remains open as Paul’s Daughter with Paul and his daughter Tina in charge. Gregory & Paul's on West 10th Street opposite the Cyclone opened in 1976 and was the one where Gregory could be found behind the counter until he closed it and retired to Florida in 2009. 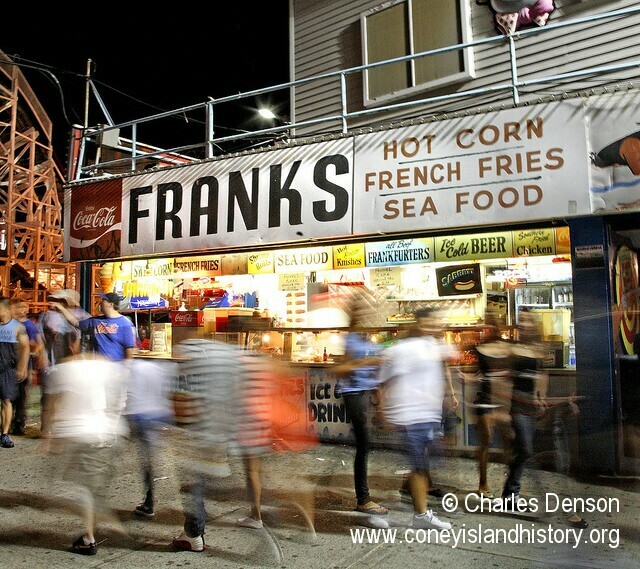 In one of the amusing anecdotes that turned up in our oral history interviews with visitors to Coney Island, the "Franks" sign - short for frankfurters - on the Surf Avenue side of the building led to one longtime patron referring to Gregory as "Frank" for decades. 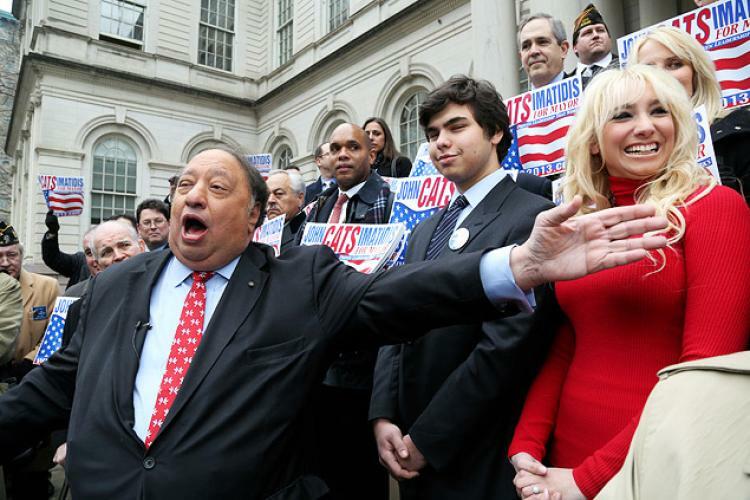 Gregory was predeceased by his son Steve Bitetzakis, who learned the family business from his father and operated Steve’s Grill House on the Coney Island Boardwalk from 1993 to 2011. A wake will be held on January 25 from 4:00pm-8:00pm at Meadowlawn Funeral Home and Memorial Gardens in New Port Richey, Florida, followed by a graveside service on January 26 at Trinity Memorial Gardens in Trinity, Florida. There will be a memorial service in Brooklyn on January 29 from 4:00pm-8:00pm at Dahill Funeral Home at 2525 65th Street in Bensonhurst. 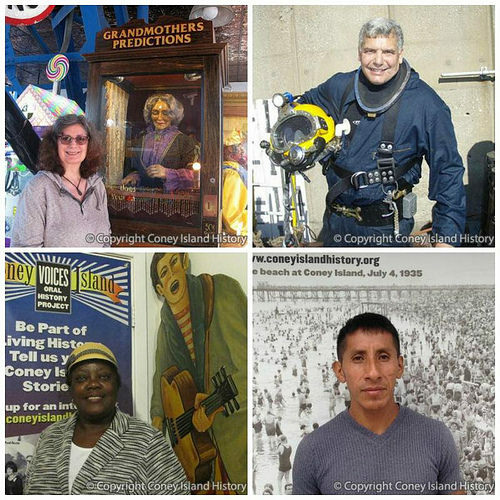 Visit the Coney Island History Project's Oral History Archive to listen online to audio interviews with Coney Island residents, business owners, and visitors - both past and present. Among the additions to our online archive in 2016 are the following interviews recorded in English, Spanish and Russian. Please listen, share, and if you or someone you know would like to record a story, sign up here. Artist Johanna Gargiulo Sherman shares vivid memories of growing up in Coney Island, where her family lived on Mermaid Avenue above the Carolina Restaurant. Her father Joe "Carolina" Gargiulo led a musical trio and was one of the partners in this popular Italian restaurant from 1947 through the 1980s. Ecuadorian-born Julio Sauce is a Gravesend resident who has been running in the Coney Island 5K, Brooklyn Half Marathon and New York Marathon since 1998 and is among the fastest local runners in his age category. 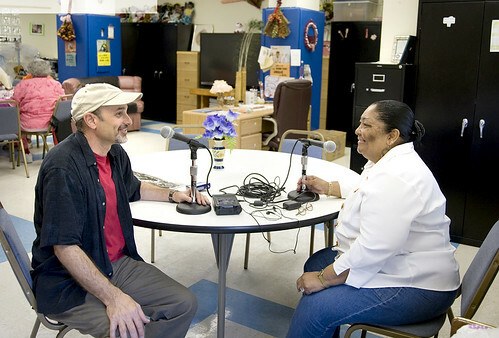 The interview was recorded in Spanish and includes Spanish and English transcripts. 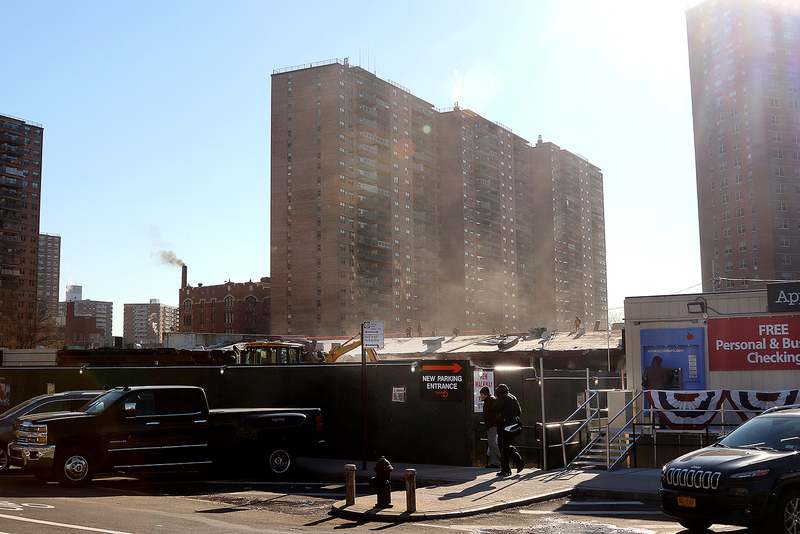 Shirley Aikens, president of the Carey Gardens Tenants Association and a member of Community Board 13, recounts moving to Carey Gardens with her one-year-old daughter in the 1970s, her first impressions of Coney Island, and how the community has changed over the years. Antoinette Balzano, a granddaughter of Anthony "Totonno" Pero, the founder of Totonno's Pizzeria Napolitana, tells her family's story. Pizzas have been made in the same way at the Neptune Avenue restaurant since 1924. 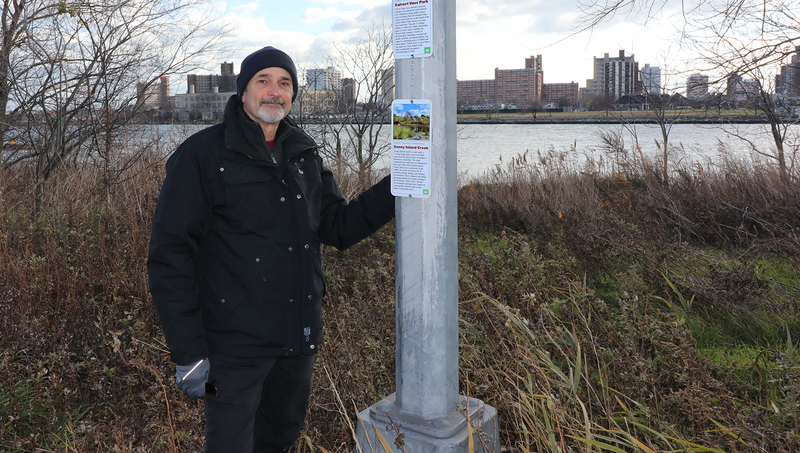 Cultural Research Divers' founder Gene Ritter is a Coney Island native, environmental advocate, commercial diver and educator who grew up on West 16th Street. 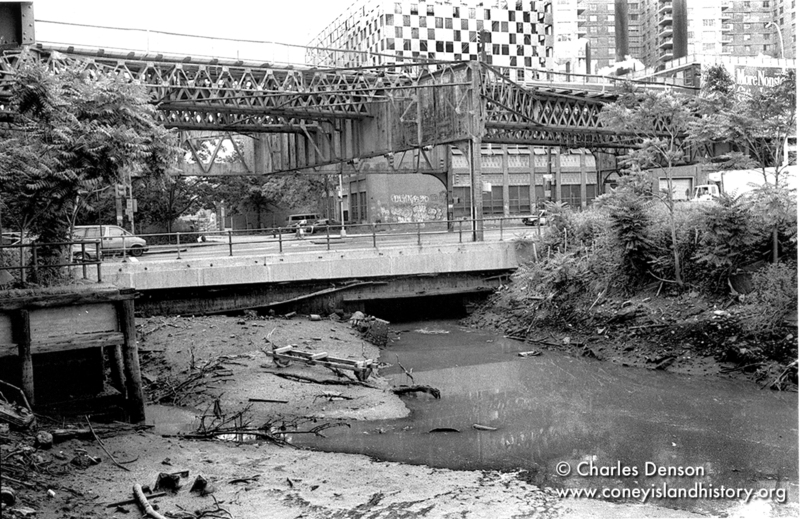 He shares his knowledge of oceans, estuaries, and Coney Island Creek. 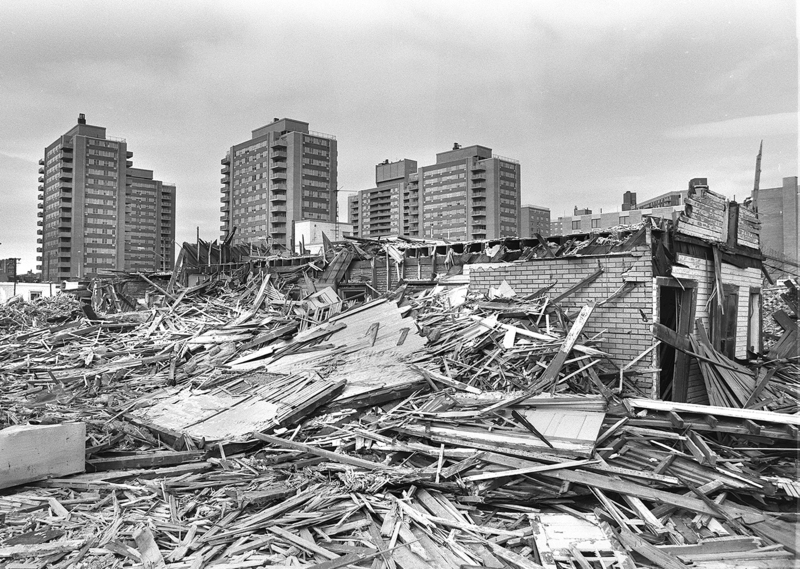 Alfie Davis, who has lived in Coney Island for nearly 40 years and is the Tenant Association Leader of the Sea Rise I complex in Coney's West End, tells the story of three generations of her family. 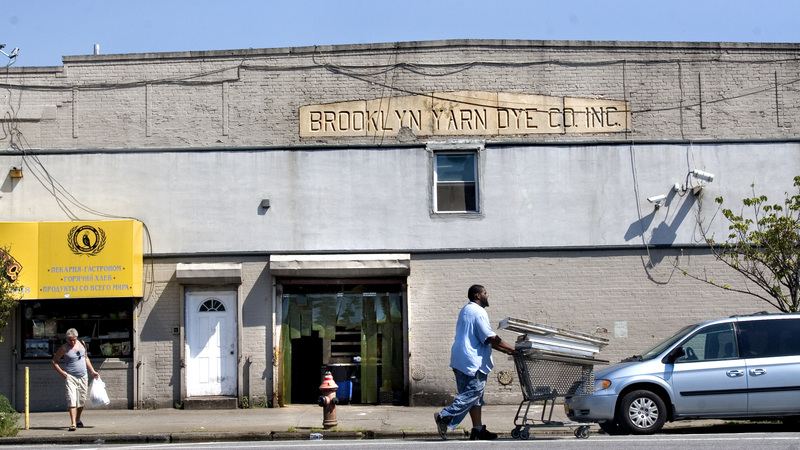 Coney Island resident Derrick Batts opened Coney Island Hook and Bait Shop on West 24th Street off Mermaid Avenue in May. He recounts learning about life from fishing and gardening, both of which he was introduced to as a boy by older members of the community, and passing on that knowledge to young people. Candi Rafael, whose family operates games on Coney Island's Bowery, grew up here and started helping out as an eight-year-old. Now 22, she demonstrates the spiel that she uses to call people in to play the games and describes what it's like to work in Coney Island. 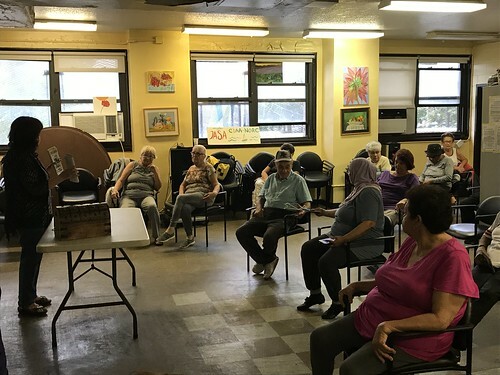 On her first day back in Coney Island since 1959, Kathy Duke O'Melia shares memories of joyful summers spent with her family at a bungalow colony located on West 31st Street near Coney Island Creek. Commendatore Aldo Mancusi, the founder of the Enrico Caruso Museum of America, recalls visiting Coney Island in the 1930s and '40s and growing up in Brooklyn in an Italian family. 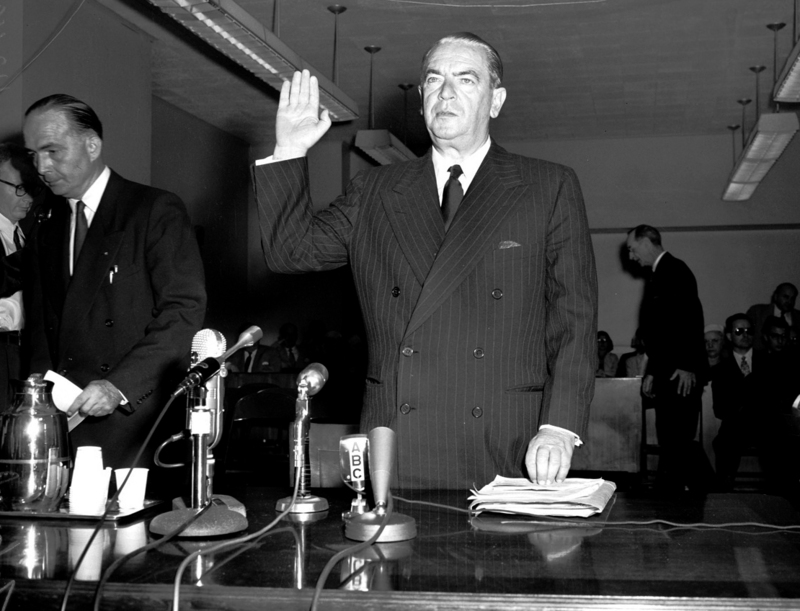 Historian Eric K. Washington delves into the life of E.J. Perry, an African-American silhouette artist who worked in the early 20th century at Luna Park, where it was said "he is there with a nice spiel and and he cuts your picture with the scissors in a minute." 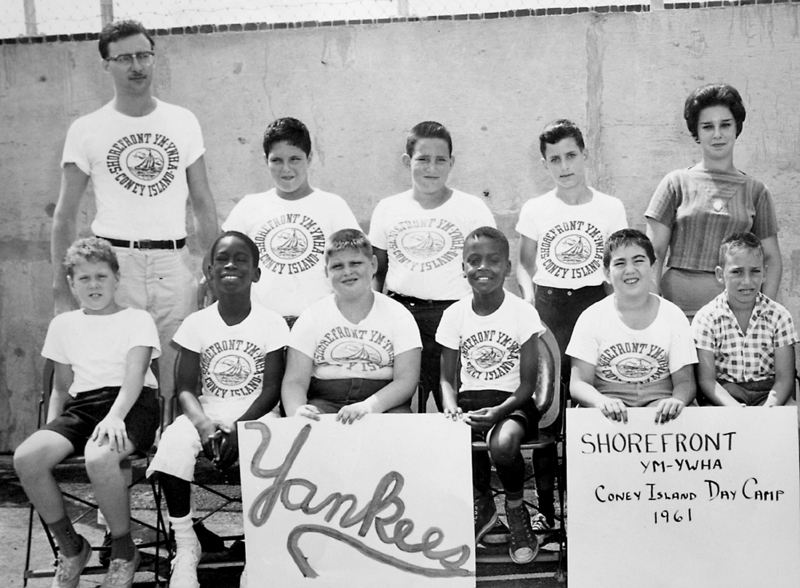 Coney Island resident Zinovy Pritsker emigrated from Leningrad to Southern Brooklyn in 1978. His jazz big band, founded 20 years ago, consists of 18 Russian musicians and singers plus a few Americans. The interview was recorded in Russian and includes Russian and English transcripts. Happy Holidays and Best Wishes for the New Year from the Coney Island History Project! Thanks to all who visited our exhibition center and joined us for History Day, Estuary Day and other special events this year. We'd like to say a special "thank you" to our volunteers, who generously donated their time and knowledge, and to our members and patrons who helped fund our free programming. Keep Coney Island in your heart this holiday season with a gift membership for family and friends. Ring out the old and ring in the new on New Year's Eve in Coney Island, where the landmark Parachute Jump's 8000 LEDs will feature a digital burst of color at midnight, followed by the first fireworks show of 2017. This free, family-friendly event is Coney's third annual New Year's Eve Celebration presented by Brooklyn Borough President Eric Adams, with support from New York City Council Member Mark Treyger, State Senator Diane Savino, Assemblymember Pamela Harris and the Alliance for Coney Island. The Abe Stark Skating Rink, B&B Carousell, Deno's Wonder Wheel and Triotech XD VR Dark Ride and Thunderbolt roller coaster will be open and free of charge starting at 6:00 PM with free entertainment beginning at 9:00 PM at Steeplechase Plaza. 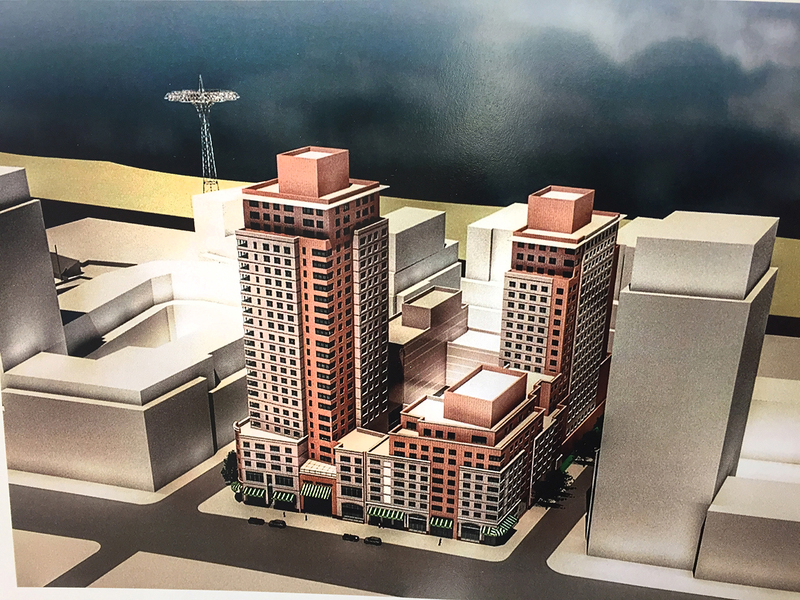 "We want to keep the party going so we are opening once again on New Year's Eve and New Year's Day," said Dennis Vourderis, co-owner of Deno's Wonder Wheel Park. The 1920 landmark Wheel, which opened last year for the first time ever on New Year's, will open with its white stationary cars only, weather permitting. New Year's Eve hours for free rides on the Wheel are 6:00-10:00 PM. On New Year's Day, the Wonder Wheel and the Tritech XD VR Dark Ride will be open 11:00 AM-2:00 PM, before, during and after the Polar Bear Swim, a fundraiser for Camp Sunshine. Tickets are $5.00 per ride. 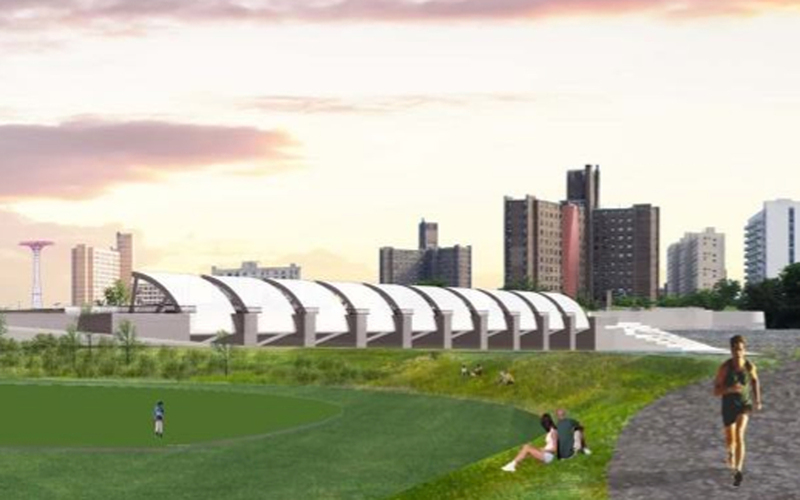 "Fifty percent of all ticket sales on New Year's Day will be donated to the Coney Island Polar Bear Club," said Vourderis. "We also look ahead to our 100th anniversary in 2020." 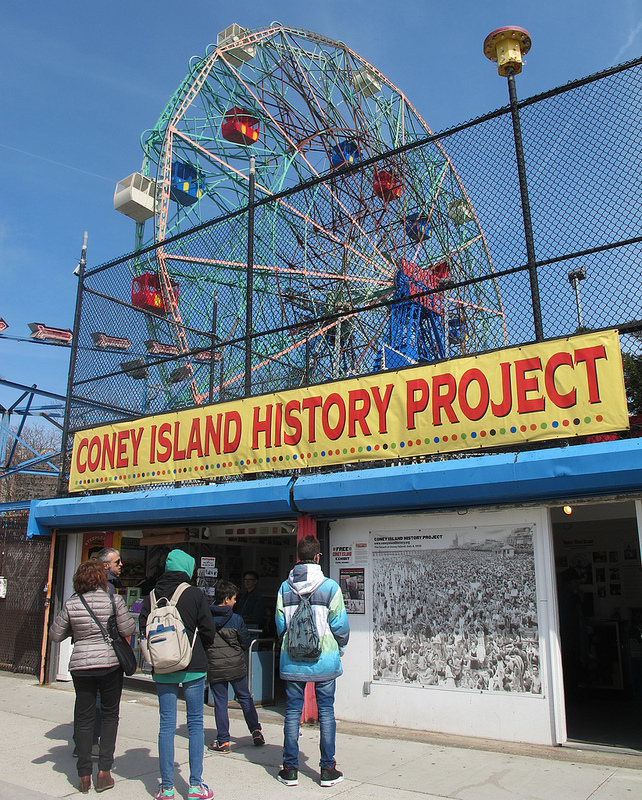 We look forward to seeing you at Coney Island History Project events next year. 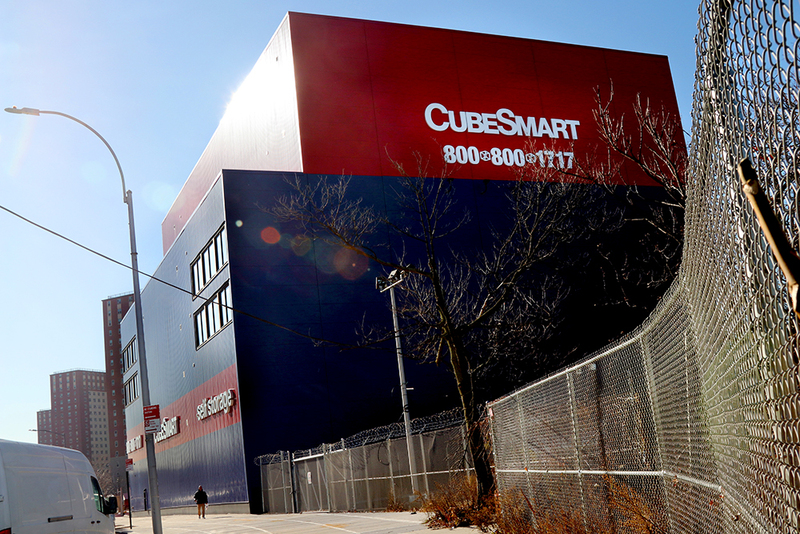 Our exhibition center will open for the 2017 season on Coney's official Opening Day, Palm Sunday, which is April 9th. 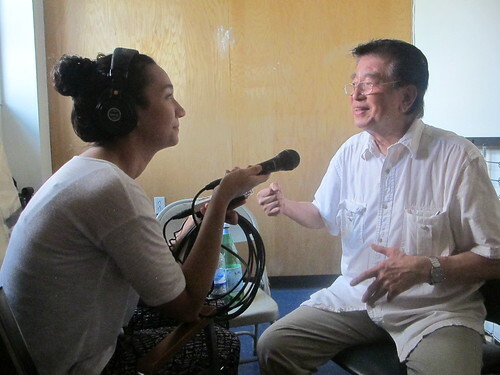 In the meantime, we continue to record oral history interviews year round and offer weekend walking tours that include a private visit to the History Project exhibition center. During the winter, the 1-1/2 hour tours are offered Saturdays and Sundays at 12:30 PM by advance reservation only. Visit our online reservation site to purchase tickets for the tours or email for info on booking a group or school visit. Celebrate World Space Week this weekend - October 8, 9, and 10 - with a walk inside Coney Island's famed Astroland Rocket. Located next to the landmark Wonder Wheel in Deno's Wonder Wheel Park, the historic Rocket is open free of charge to visitors during park hours, which are 12:00 PM through 6:00 PM on weekends and holidays through October. 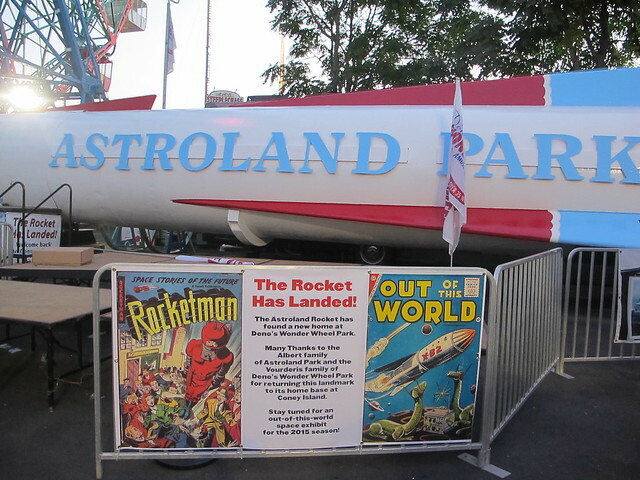 "The Astroland Rocket at Deno's Wonder Wheel Park is a continuing symbol of America's successful space program in the 1960's and it is an inspiration today," says Deno John Vourderis, a third-generation member of the family who owns the park and gave the space-age icon a permanent home in Coney Island. "Visitors to our park are encouraged to ask questions and seek knowledge, The Vourderis family works hard to help ignite inquisitive young minds hoping to develop the geniuses of tomorrow. 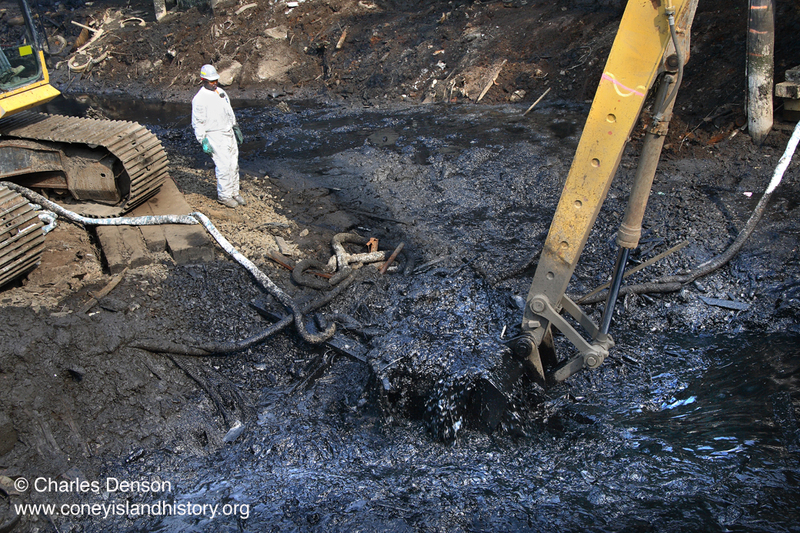 This is what helps make our world, our country, and our local communities great. Welcome to Coney Island, there's enough magic here for everybody." 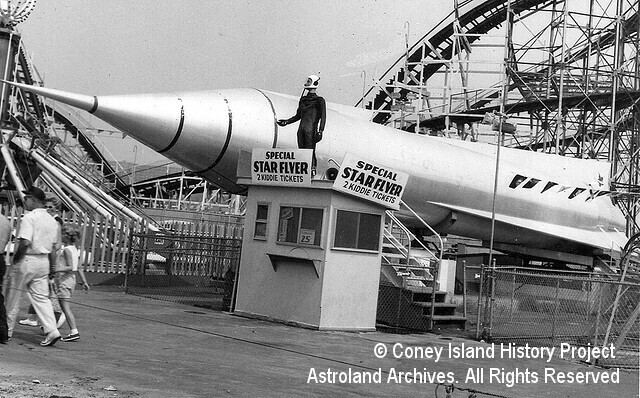 One of the first and only surviving simulators constructed for amusement parks during the Space Race, the Rocket debuted in 1962 at Coney Island's space age-themed Astroland Park. Originally billed as the "Star Flyer," the Rocket was also called the “Cape Canaveral Satellite Jet” (TIME), “The Spaceship Auditorium” (Billboard), and the “Cannonball Adderly Rocket” in anticipation of Adderly dedicating the rocket for Astroland’s official opening on July 1, 1962. 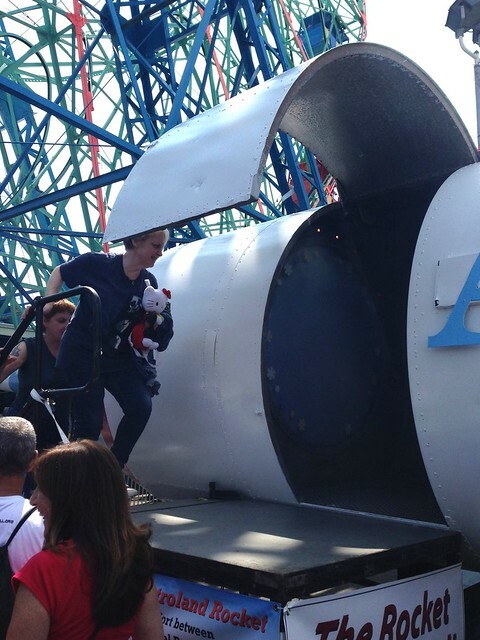 The ride was rechristened the “Astroland Moon Rocket” in 1963. The Rocket, which has 26 seats, showed films of space voyages while the chassis “rocked” its viewers to outer space. "Outer space simulators have played a prominent role in Coney's amusement history,” says Denson, director of the Coney Island History Project and author of Coney Island: Lost and Found. “It began when Thompson and Dundy brought 'A Trip to the Moon' to Steeplechase Park in 1902 and culminated in 1962, at the height of the space race, with Astroland's Moon Rocket. The ride provided visitors with an exciting taste of intergalactic travel." World Space Week is an international celebration of science and technology, and their contribution to the betterment of the human condition. The United Nations General Assembly declared in 1999 that World Space Week will be held each year from October 4-10. These dates commemorate the October 4, 1957 launch of the first human-made Earth satellite, Sputnik 1, which opened the way for space exploration and the October 10, 1967 signing of the Treaty on Principles Governing the Activites of States in the Exploration and Peaceful Uses of Outer Space, including the Moon and Other Celestial Bodies. DUE TO SATURDAY'S FORECAST, HISTORY DAY WILL BE HELD ON SUNDAY AUGUST 7. FREE EVENTS ALL DAY! -Commendatore Aldo Mancusi, founder of the Enrico Caruso Museum of America, will play his hand-cranked Hofbauer street organ from the museum. Crank a tune and receive a certificate commemorating History Day! 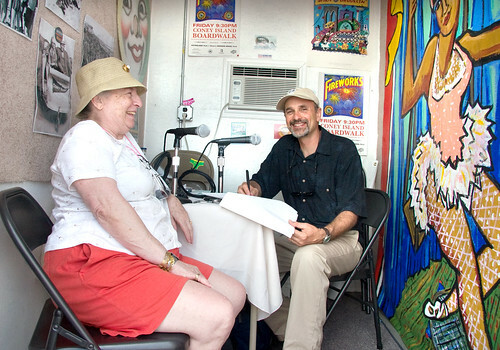 -At the Coney Island History Project, share and preserve your Coney Island memories by recording an interview for our Oral History Archive. 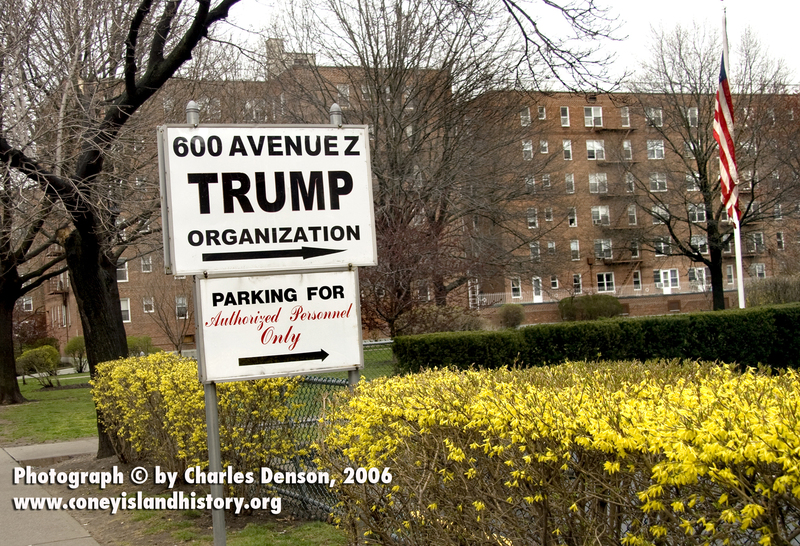 View historic artifacts, photographs, maps, ephemera and film, and the special exhibit "The 50th Anniversary of Fred Trump's Demolition of the Steeplechase Pavilion"